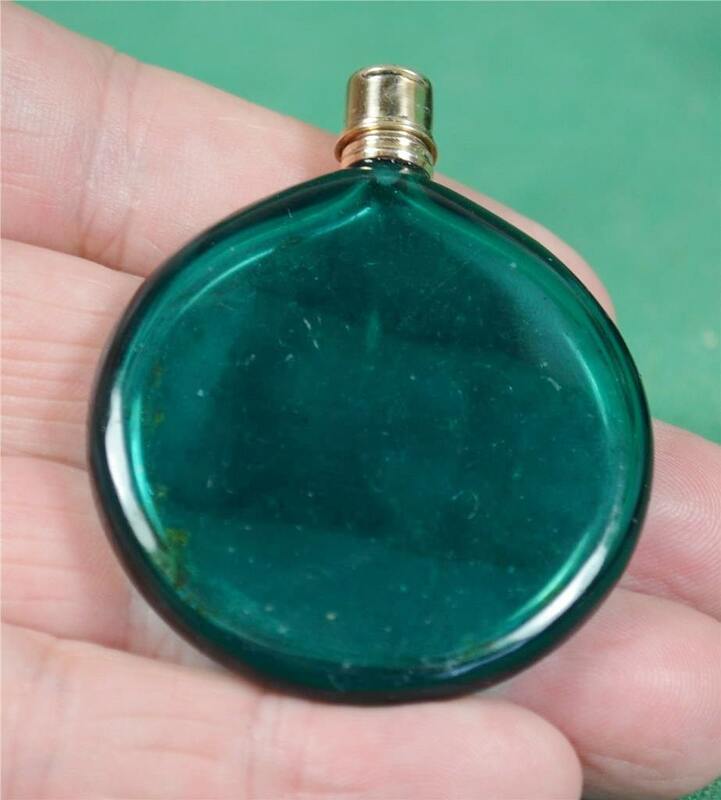 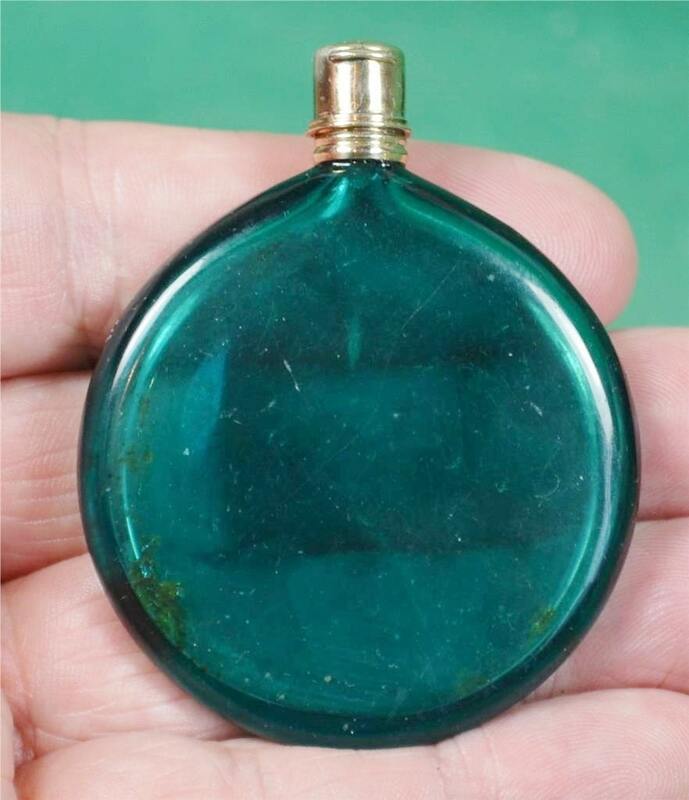 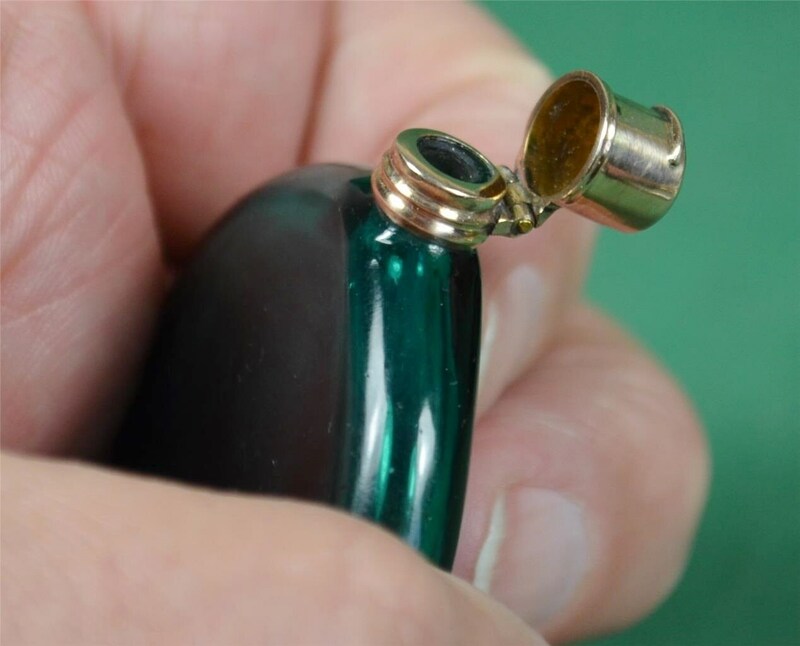 Antique… 14K Solid Yellow Gold and Green Glass, Miniature Scent / Perfume Bottle. 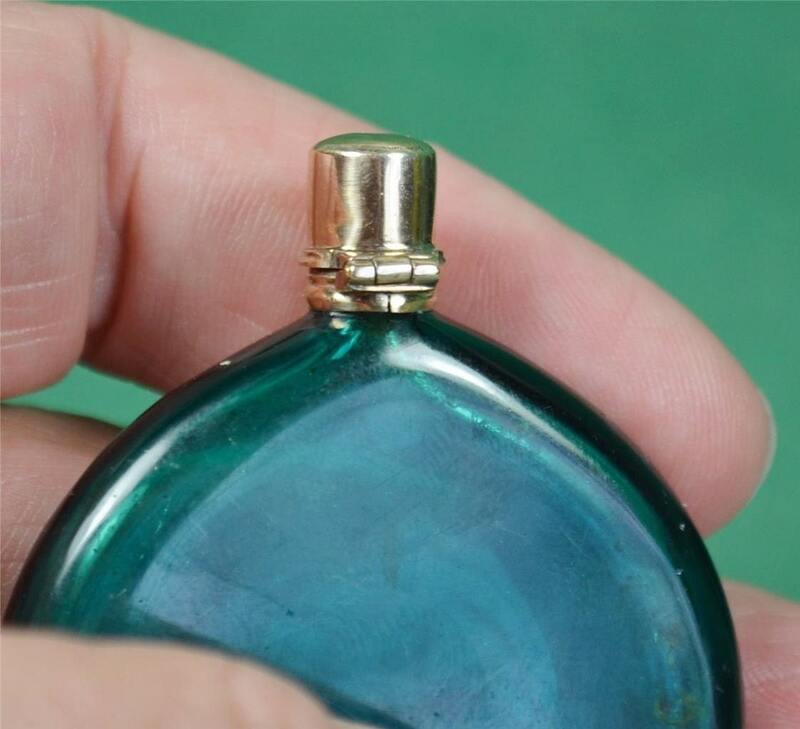 For your buying pleasure, is a Miniature 14K Solid Yellow Gold and Green Glassy.. Scent or Perfume Bottle In its original preserved condition. 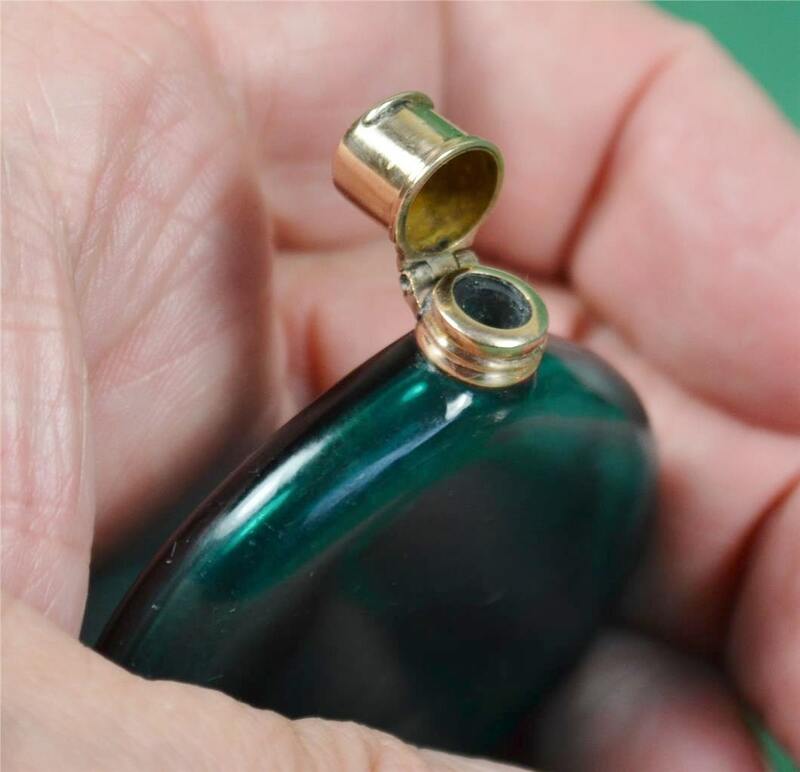 Measuring Approx - 61 mm in length, and still has its original stopper.